Current practices of fault-tolerant network designs ignore the fact that most network infrastructure faults are localized and spatially correlated (confined to regions), as shown in Fig. 1. Network operators require new tools to mitigate the impact of such region based faults on their infrastructures. This tool consolidates a wide range of theories and solutions developed in the last few years into an advanced Network Planning and Management Tool, that facilitates the design and provisioning of robust and resilient networks. The tool provides multi-faceted network design, evaluation and simulation capabilities for network planners. Future extensions of the tool currently being worked upon not only expand the tool’s capabilities, but also extend these capabilities to heterogeneous interdependent networks such as communication, power, water and satellite networks. Topology Management: Create, edit, save, restore and delete networks over a graphical UI. Map overlays created with GoogleMaps and OpenStreetMaps for standard and intuitive look and feel. 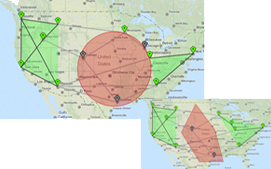 Fault Analysis: On the created networks simulate worst case scenarios by specifying a fault radius and visualizing the fault impact on network connectivity, or alternatively, specify a custom failure region and simulate fault impact. Path Analysis: For created networks, compute region disjoint1 paths between source and destination nodes. Set up custom path selection criteria such as “Minimize Sum of Distance” or “Minimize Max Distance” to simulate impact, and improve network design decisions. 1Region Disjoint Paths: Paths such that for any fault of a given radius on the network, at least one of the paths is not impacted by the fault. 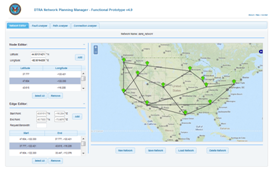 Network Traffic & Fault Simulation: For created networks, select a request routing strategy and simulate temporal demand and traffic on the network. Visualize fault impact on network throughput. 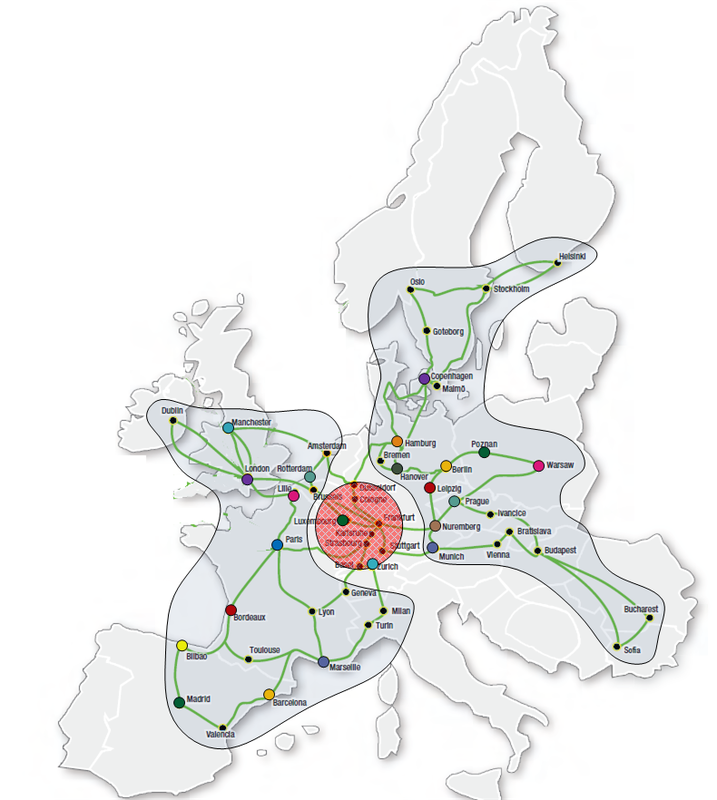 Simulate pre-fault and post-fault network usage and improve network routing strategies. Published work: A Network Planning and Management Tool for Mitigating the Impact of Spatially Correlated Failures in Infrastructure Networks, Arun Das, Arunabha Sen, Chunming Qiao, Nasir Ghani and Nathalie Mitton. Published in the proceedings of the International Conference on Design of Reliable Communication Networks (DRCN), IEEE, 2016.